The Director of the Office for Kosovo in the Serbian Government, Marko Djuric, has called on the Serbs in Kosovo not to become part of the Kosovo Army, pointing out that "according to the Serbian Criminal Law the participation in illegal armed formations is punishable up to ten years in prison." He stressed that the formation of the Kosovo army is illegal and contradicts with the Resolution 1244 and the Kumanovo Agreement and is against the intentions of the Serbian state, which, according to him, is the long-term stability. Djuric said Serbian List, which opposes the formation of the army in Kosovo, has the support of President Aleksandar Vucic and the Serbian Government. Talking about the platform proposed by the Government of Kosovo, which foresees that the talks in Brussels to be finalized with the recognition of Kosovo, Djuric says that the international community's position will best be seen if the Kosovo Parliament adopts this platform. "Prishtina has done nothing without the consent of the international community. If the international community does not want to approve the platform they will tell their friends and partners not to adopt it in Parliament." Djuric told to TV Prva. According to him, Prishtina sees no future in regulating the relations in a democratic, peaceful and diplomatic way, this has been shown in the past, but there is no response to the international community. "The international community's reaction is not pleasing, it does not encourage success in continuing the dialogue." Djuric explained. 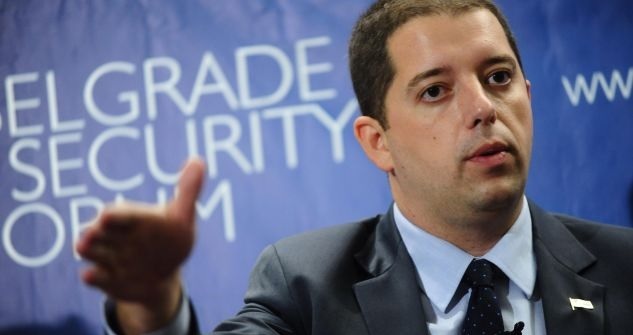 He reminded that "Prime Minister Ramush Haradinaj said by himself that Kosovo has no foreign policy and that it is the policy of the United States." Djuric said that "it is a good thing that the Serbian army has entered the path of modernization and strengthening, because peace for Serbia is the most important". According to him, the EULEX Mission in Kosovo is unsuccessful because has not created the propriate conditions for the rule of law. "Such EULEX was brought by those who say that Kosovo should be allowed without any conditions to join the UN." Djuric said. On the other hand the Serbian Ministry of Defense has put into public discussion the National Security Strategy Draft and the Defense Strategy Draft , which states that Serbia will not recognize Kosovo's independence, will provide full support for the participation of the Serbs in "the temporary institutions of Pristina" and will oppose the formation of the Kosovo army.